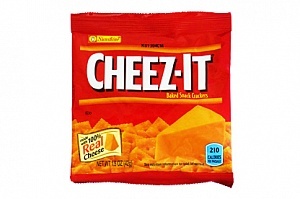 Cheez-Its are delicious 100% real cheese, baked snack crackers imported from America. 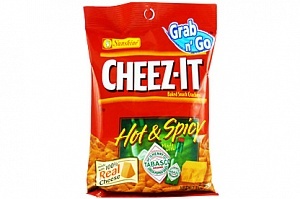 Cheez-Its take cheese seriously. 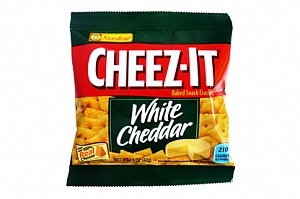 All cheese used in making these amazing crackers is matured by Cheeze-It themselves, to perfection, before baking it into their delicious, seriously cheesy, crunchy crackers. 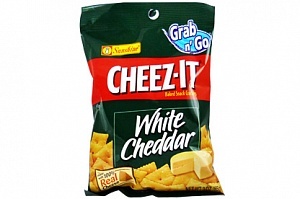 If the real cheese taste matters to you then Cheeze-Its are definitely one to try. Please beware the real cheese taste is SERIOUSLY addictive!